100 1 %a Keenan, Sheila. 245 1 0 %a O, say can you see? 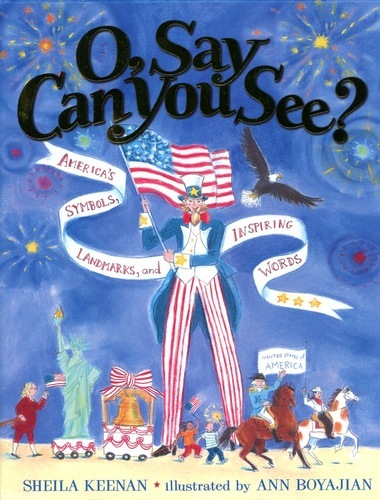 : %b America's symbols, landmarks, and inspiring words / %c Sheila Keenan ; ill. by Ann Boyajian. 260 %a New York : %b Scholastic Nonfiction, %c 2004. 300 %a 64 s. : %b il. kolor. ; %c 29 cm. 504 %a Bibliogr. s. 60. Indeks.